Colin is a traveler at heart. In the fall of 2016, he became Director of the College's Global Consulting Program. The GCP is a transformative, immersive, international experience for Ohio University students looking to step outside of their comfort zone and set them selves apart for their careers. Students spend the spring semester learning about global business consulting as well as language and culture for their in-country experience. Once in country, they collaborate with local college students to work on live, real-world business projects for firms in their host country. The result is a confident, well-rounded, experienced Business Bobcat who can handle anything when s/he returns to Ohio. In June of 2018, he led a program to Bayreuth, Germany, where students partnered with the University of Bayreuth to work with Adidas. In July of 2017, he led a program to Ancona, Italy, where Ohio partners with the local university, UNIVPM. There, students worked on projects for four companies, including Clementoni toys. In May of 2016, he served as Associate Director of the Barcelona program. 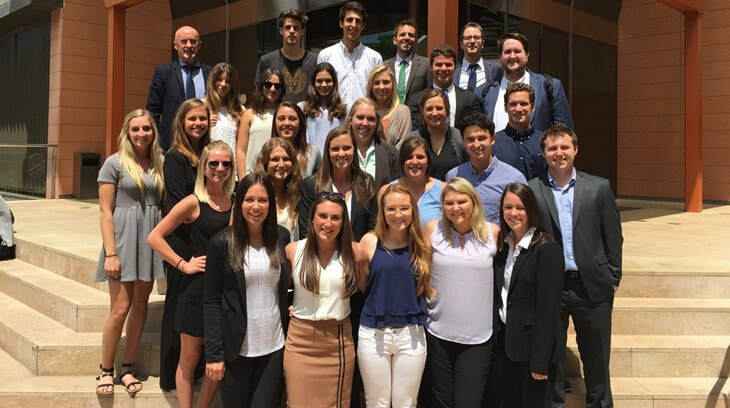 Partnering with IQS, 19 OU students worked as consultants for live international clients, delivering final presentations to executives on topics ranging from selling saffron in the United States to partnering with chemical refineries in Morocco. Oh, the students (and Colin) did manage to fit in some fun while in town. Colin has traveled to all 50 U.S. States, 5 continents (South America & Antarctica withstanding) and 36 countries, both for business and pleasure. Traveling has always been a passion of his, and he has been lucky to visit so many places since entering academia. The best part of his current travel is the excitement of taking a group of college students to a foreign country and being part of an engaging and transformative learning experience that can only come from immersion in a new culture. In 2011, he assisted in a joint study abroad program between the University of Alabama and James Madison University, taking 30 students to Turkey and Greece. Teaming up with Bahçeşehir University in Istanbul, he taught Import/Export Management and Global Marketing. His students also did excursions to Athens, Greece, and other parts of Turkey. In 2012, Colin led another group of students to Antwerp, Belgium, with trips to Paris, Luxembourg, Ghent, Mykonos, and Athens. 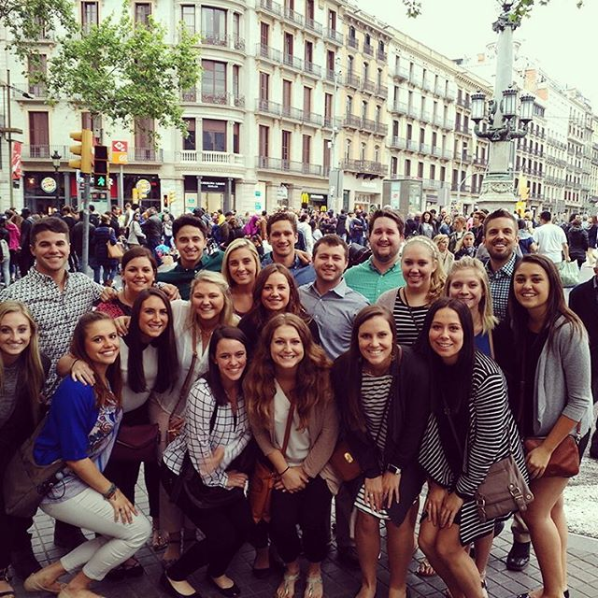 The Global Consulting Program is a "Work Hard--Play Hard" experience.